Did you know that Tate Circuits does not add a carriage charge to your orders? Boards manufactured at our offshore factory can arrive at your door in as little as 6-8 working days. Standard delivery is around 10 working days door to door. Once your boards have been despatched from our offshore factory, we can send tracking links to follow your shipment at any time. Our dedicated team offer an immediate response to progressing purchase orders at any stage during manufacture, right up until the boards arrive at your door. 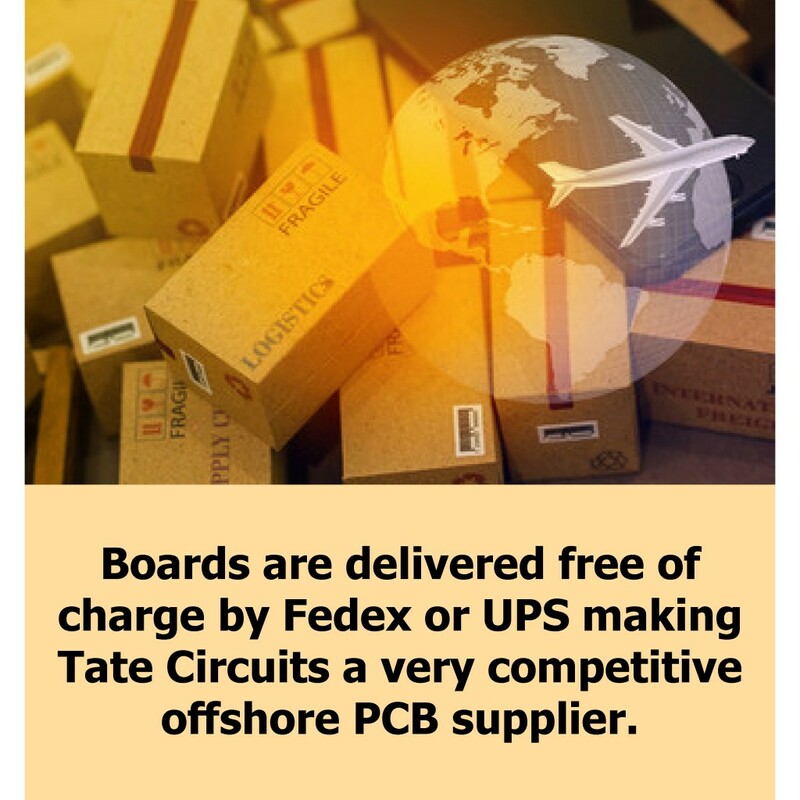 Tate Circuits mission is to offer low cost offshore PCB manufacture, with first class UK customer service. Why not try a quotation to transfer your boards to Tate? We would be delighted to hear from you.